YOU. Inc. - A behavioral health & education agency in Central MA. is a leading child welfare, behavioral health & education agency dedicated to helping children and families to flourish and reach their potential. If you would like to speak with someone who can provide assistance in finding the right program, please call our Central Referral at 1-855-496-8462. 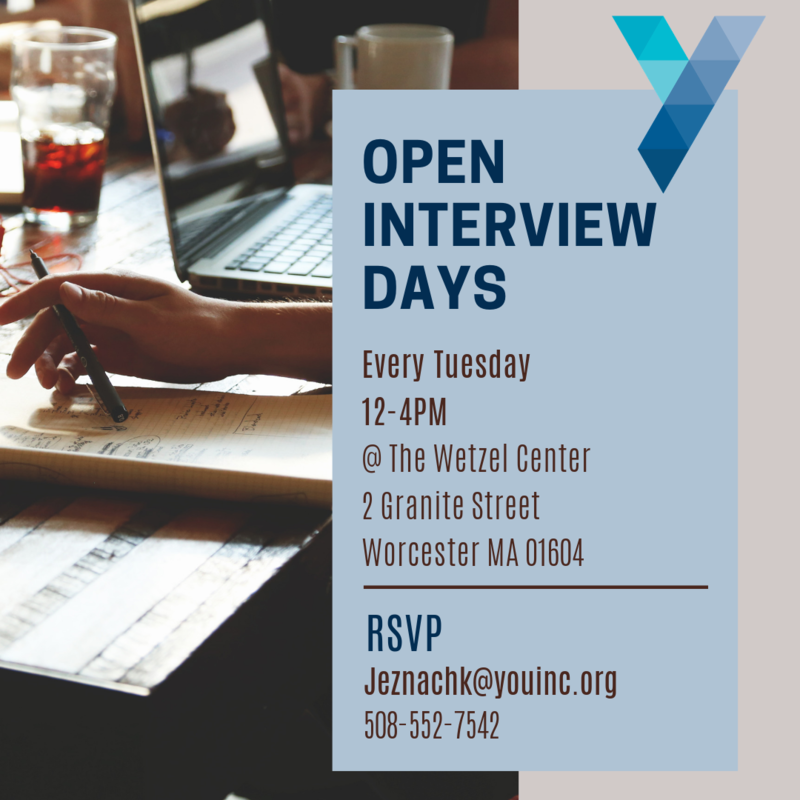 Open Interviews are held every Tuesday -- more details below! of youth served in our programs say in a confidential survey that they were satisfied with their experience at YOU inc. Putting our 45 years of experience and expertise in behavioral health and education to work helping over 14,000 youth and families in Central Massachusetts over the past year. We serve a significantly higher number of youths with moderate to severe needs compared to other providers, with positive outcomes exceeding national averages. We are at the forefront of educating the next generation of behavioral health professionals – hosting more than 60 graduate-level interns last year.